On the surface, President-elect Donald Trump’s destructive narrative speaks the language of bridge burning: a redux of the neoconservative years, when the US and its allies tried to coerce and bully Iran into submission. This is a distinct volte face of President Barack Obama’s extension of the olive branch, which culminated in the Joint Comprehensive Plan of Action (JCPOA) in July 2015. Despite the usual soundbites against Iran and the use of sensationalist rhetoric – such as Iran potentially bringing on a nuclear holocaust – Trump was actually an early advocate of talking to Tehran. In December 2011, he told CNN that it was important to talk to Iran, good or bad. His tune was to radically change as expected of a mercurial and manic character: during his acceptance speech at the Republican Convention, he described the nuclear agreement as one of the worst deals in US history. He went so far as to tell the powerful Israeli lobby in the US that he would dismantle the watershed deal with Iran. Iranian President Hassan Rouhani has said the election result will not affect Iran’s policies and that the nuclear accord cannot be dismissed by one government. Indeed, in June 2016, the White House emphasised that no one — including a potential President Trump — had the power to tear up the multilateral nuclear deal. Iran’s Foreign Minister Mohammad Javad Zarif reaffirmed this position underscoring that the JCPOA was not an agreement between Iran and the United States alone. Trump’s contradictory statements during his campaign make it harder for foreign governments to decipher how his rhetoric will be translated into US policy. With the fate of the nuclear deal uncertain, and by extension, Iran’s slow progression into the global trading and financial system, foreign investors will be hesitant to invest in Iran. Internally, this will damage the moderate Rouhani’s credibility whose platform is premised on economic growth. The Supreme Leader has showed displeasure over continuing economic difficulties and has blamed them on Rouhani’s government. With the Iranian elections looming 2017, Rouhani will be accused by his hardline rivals of giving away too much on the nuclear issue and failing to reinvigorate the economy. The Iranian position is complex and nuanced, and very much determined by institutional processes rather than public pronouncements. This is reflected in the position of Iran’s foreign policy core: the hardliners. Trump’s tough stance, in contrast to Obama, could actually serve the interests of hardline elements in Iran, who are loyal to Iran’s most powerful authority, Supreme Leader Ayatollah Ali Khamenei – the Revolutionary Guards (IRGC), powerful clerics, and influential politicians. Wary of détente with the West – one of the pillars of the Islamic Revolution – hardliners have signalled their support for Trump in the past few weeks. 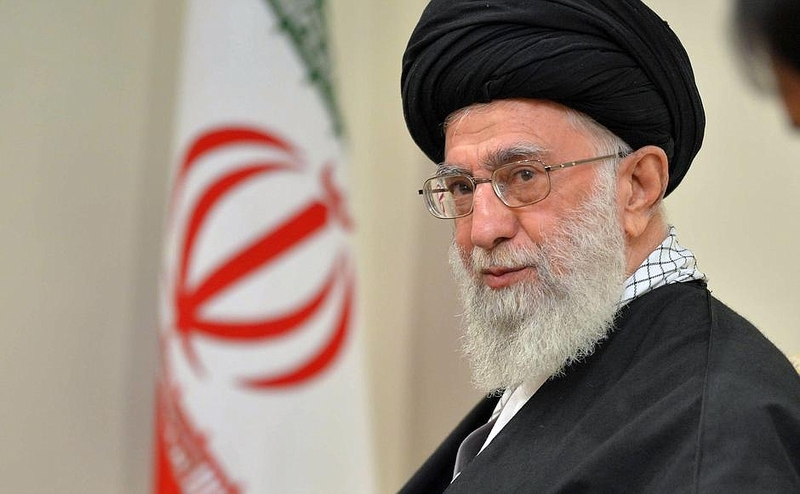 Recently, the Iranian Supreme Leader used Trump’s vociferous statements as a testament of social injustice in the US. Trump’s outlandish campaign statements and his general knee-jerk unreliability poses real concerns on how he will conduct foreign relations. This works into the hands of the hardliners who are banking on the idea that with Trump will be a disaster for the US, precipitating weakness and divisiveness – both internally and internationally. A weaker US caught up in domestic and foreign crises will open up the arena for Iran’s (and Russia’s) regional hegemony. Speaking of Russia, if the friendly and conciliatory attitude that Trump evinced toward Russian President Vladimir during the campaign continues once he is in office, then the logic is clear: if Trump’s intention to is to rebuild relations with Putin, who supports the Iranian nuclear agreement, he will have to limit hostilities with Iran. And in light of Trump’s praise for Russian leader Vladimir Putin and specifically the latter’s intervention in Syria, a Trump presidency will effectively allow Russia, and by extension Iran, to dictate the terms of the Syrian conflict resolution. Another less obvious factor is the prevailing view by the Iranian establishment that it is generally easier to negotiate secret deals with Republicans. Iranian perception towards US elections are very much shaped by the experience of the Iranian revolution and its immediate aftermath. At the time, Democrat Jimmy Carter was in direct confrontation with Iranian revolutionaries. The resolution of that crisis on the eve of Republican Ronald Reagan’s presidency in January 1981 gave rise to a long-standing perception in Tehran that deals are made more easily with Republicans as opposed to Democrats. For 35 years, Iranian leaders have consistently expressed this sentiment. A lot hangs in the balance and with the future political calculus uncertain it would be wise to consider that Iran and the US have achieved a lot, having painstakingly eased their way out of a 35-year impasse, breaking all taboos on direct contact and negotiations with the watershed nuclear deal. To reverse this due to ill-devised agenda of an erratic megalomania would be a tremendous waste of time, resources and most importantly, a future. Let us hope that Trump’s his campaign pronouncements do not translate directly into policy.